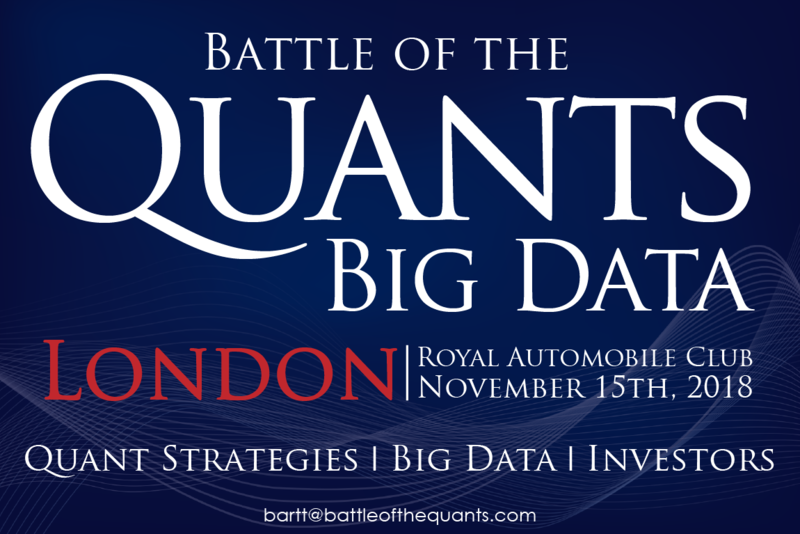 The Battle of the Quants Big Data (a client project) took place at the Royal Automobile Club in London on 15th November, 2018. The event was for quantitative hedge fund managers, quant fund investors, big data providers and quantitative hedge fund data buyers. The Battle of the Quants curated carefully selected systematic investors and managers leading the way into the new world of Artificial Intelligence, Data Sets, Machine Learning, Blockchain and Quantum Computing. Careful consideration was given to include issues confronting investors and traders participating in this complex and exciting world. Attendees included HNWI’s, Family Offices, FoF’s, Institutional Investors, Systematic Hedge Fund Managers, Data Providers and Data Buyers. In our thirteenth year of hosting the leading quantitative event worldwide, the Battle of the Quants has become the definitive event in the quantitative space for investors, managers and data buyers looking for key industry influencers, decision makers and investment opportunities. 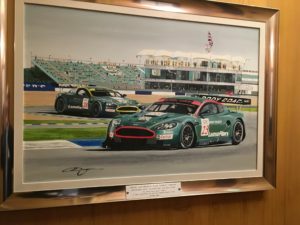 It was a full house at the Royal Automobile Club. The keynote address was: “How Systematic Trading uses Machine Learning to Predict Markets.” 2018 saw the largest launch ever for a Machine Learning based Hedge Fund. I remember when people thought the robots were going to take over the world during the algorithmic trading explosion that occurred around a decade prior. That seems quaint today. However, the battle that’s brewing now isn’t man v. machine. It’s Big Data done raw vs. cooked. Some data buyer (quant fund data consumer) panelists said that cleaning ruins meaning. They wanted their data served raw from providers, and would do any light “cooking” on their own. Others resisted internal heavy data cleansing efforts due to unscalable costs, and wanted to buy data that had already been “cooked” by providers. This is important because “About 80% of a data scientist’s job is janitorial…” So quant fund data buyers and data providers need to work together to produce clean data. In fact the data provider panelists answered that they’re typically in the kitchen with their buyers, cooking & cleaning together. One remarked that Data Science practice needs deep market expertise, requires “workflow disruption,” and typically employs a combination of in-house and vendor-sourced data scientists in order to get Big Data right, for discretionary & systematic trading strategies using AI to process all that data. The quant heavy hitters took us all to school, though, showing the audience that algo trading has become a victim of its own success. The CTA’s, typically using systematic trend-following strategies, are now seeking alpha by avoiding crowded markets. “If I can trade it on an Algo, I don’t want it” [anymore]. Yet, all the trading on display was completely systematic with AI used everywhere. The technology has moved to data analytics as vs. trade execution. Back when Algo trading was on the rise, anyone talking about the technology would inevitably make a race car analogy. 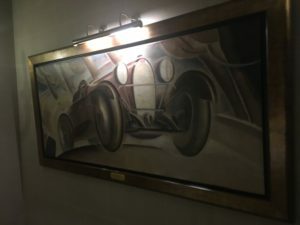 I suppose that when you have a quant trading event featuring artificial intelligence, machine learning, and big data as “the new oil,” and host the event an automobile club, you really can go home again.